You have short hair or maybe not enough volume. You have had a hair mishap with either color or heating tools and now you are left with uneven locks. You have tried desperately to grow out your hair but give up when it gets to that frustrating “in-between” length where you are not sure what to do with it anymore and you contemplate just chopping it off again. And to help with a lack of volume, all of the supposed volume-infused shampoos, conditioners, and sprays do absolutely nothing while root lifters have failed you, so you are contemplating your next hair move. All of the hair masks in the world cannot heal the damage of the mishaps and you are at a complete and utter loss. You see that all of the celebrities have these healthy and long flowing locks and soon realize that this was achieved with hair extensions. They are a great option for longer and fuller locks. Hair extensions can give you a whole new style, a newfound confidence and, if done properly, they will look amazing and like your very own hair. However, there is a darker side to extensions that you may not see or know about. We have become so enamored with the idea of looking fabulous, we forget that it can cost you; literally and figuratively. Having had extensions myself, I can tell you that yes, they do look great but there is so much that goes in to having them that I have often wondered if it was ever even worth it. You may yearn for longer hair but have you thought about how you may look if you were to go bald? Maybe not completely bald but patches of missing hair throughout your entire scalp. That is a very real possibility with glued in extensions as the glue can pull on hair follicles, especially the roots, making them weak and ultimately, ripping out your natural hair. There are a few types of glue that can be used. 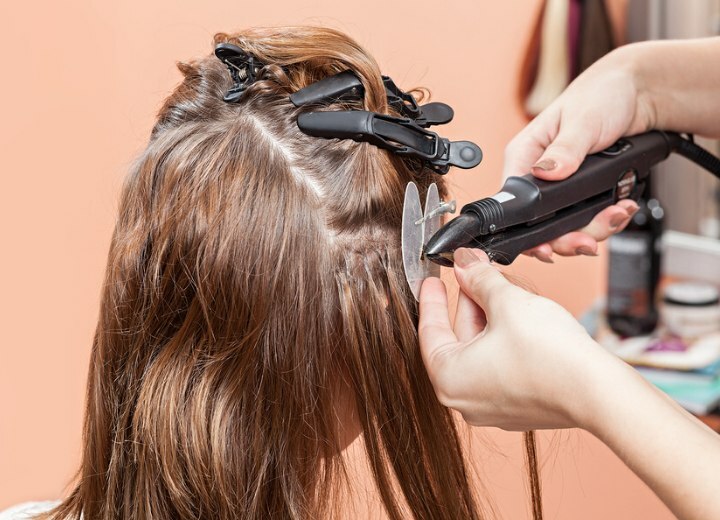 One that is heated and pulled up to the root of the hair while the other glue is applied directly to the scalp and secured with a hair dryer. Improper removal of both types of glue can rip your hair out. Trust me, I had a bald patch right where my bang line is for a long time. People thought that I was pulling my own hair out, but in reality I was forcing the glue out of my hair when it was not ready and without the right removal oil. There are lotions and oils that can help with the proper extension removal but it is always best to go back to the stylist who first put them in for you. 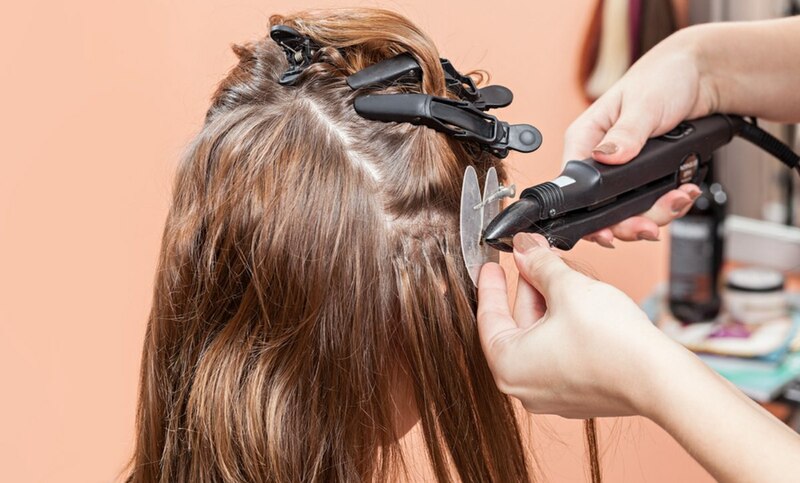 If you did them at home or had a friend apply them with glue from a hair store, again, you need to properly remove the extensions the best that you can as to avoid hair loss. 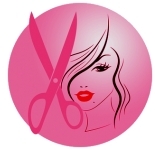 Getting professional hair extensions is expensive and can take up to twelve hours. The cost can be upwards of a thousand dollars. Then there is the upkeep and the maintenance which cannot be neglected as this is now your hair. And if you went through all the effort to get it done correctly, you are going to have to make monthly appointments for touch ups as hair grows around a quarter to half of an inch per month. You might also want to have a professional style your hair weekly for you as having all of this hair can be fun but somewhat of a chore. If not maintained properly, your extensions can get matted and will have to be removed as to not cause permanent follicular damage or even worse, traction alopecia. Alopecia is a disorder that causes permanent hair loss and extensions can contribute to a certain form of it and this includes balding and general hair loss, mainly from the weight of all of the new hair. Your head can only carry so much and when it becomes weighed down too heavily, this is when traction alopecia can occur and there is no going back from that diagnosis.